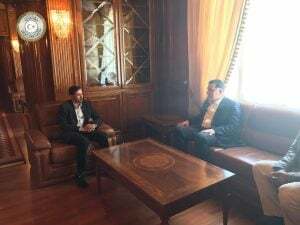 Presidency Council head Faiez Serraj says he is going to boost the campaign against fuel smugglers. The committee tasked with the job claims to have already cut the illicit trade in subsidised Libyan fuel by 95 percent. Serraj praised the efforts of Milad Al-Hajrasi and his team in the Fuel and Gas Crisis Committee for the launch of “Operation Mediterranean Storm,” aimed at countering the illegal export of cheap fuel by sea and road. He underlined how critical the operation was to stem the waste of subsidy funds and the resulting fuel shortages which gave a further twist to rising prices and inflation. Hajrasi’s claim that the smugglers’ business has been cut so dramatically may be an overstatement, not least because Serraj is still boosting the campaign. Nevertheless, the clampdown may be biting. There have been protests in southern Tunisia where locals have made a good living from the illicit trade. Thus far Operation Mediterranean Storm has been spearheaded by the navy and airforce. Hajrasi told Serraj he is keen for the army to become more involved. Interior ministry officials today made an inspection tour of the Ras Jedir border crossing to Tunisia. On the other side of the frontier, the town of Ben Guerdane has acquired a reputation as a smuggling centre.